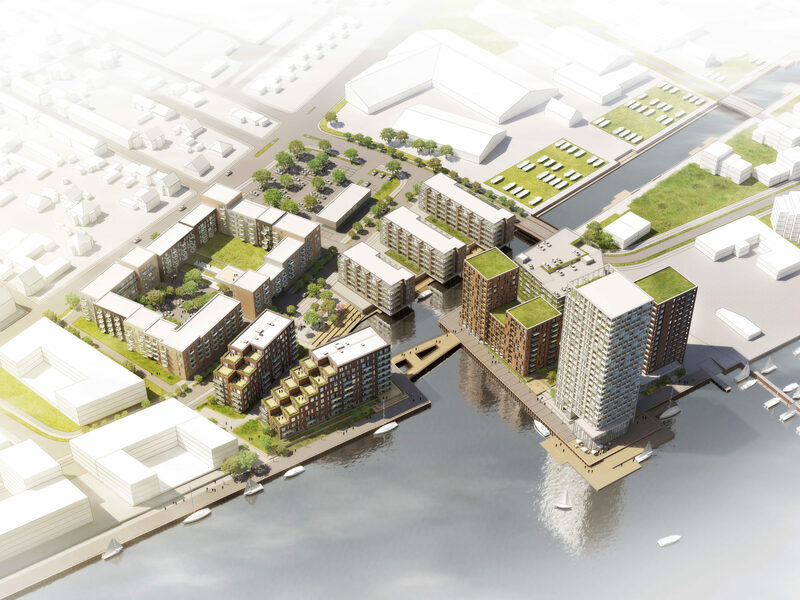 In cooperation with OMJ Ejendomme, RUM did win the tender process for a new development and construction of 70,000 m2 meant for residentials, offices and commercials placed on the edge between Horsens Harbor and Horsens City. The aim is to create a new, attractive neighborhood with different options calling for a diverse range of citizens. The most important quality to emphasize in the planning is the placement next to the sea. Therefore, the water is a continuous design element in many aspects of the design, which also counts strategies for sustainable handling of the climate changes. The urban planning is based on a clear sustainable strategy which is resilient and flexible. The 1st prize project is the first step of a long-term strategy of re-connecting the city and the sea. From January 2018 the first constructions has started. The aim is to create a new, attractive neighborhood with different options calling for a diverse range of citizens.